Why do maths lessons seem to last forever? 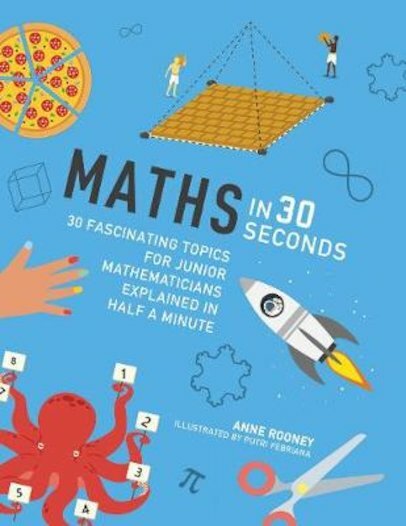 With this book, you can explore maths in just 30 seconds! Each double-page spread covers one topic in a short 30-second soundbite and three-second flash summary. Plus, each topic has a three-minute activity mission where the fun gets hands-on. It’s an incredible book to look at, with stunning colour artwork. So don’t hang around: get counting!